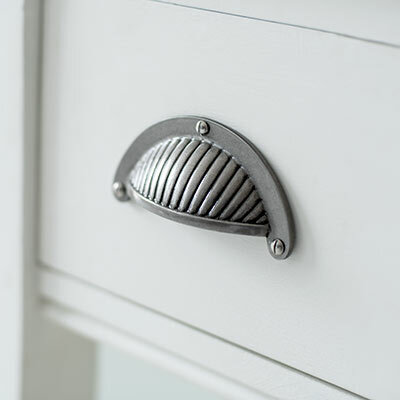 Add a charming vintage touch to your cupboards and drawers with our new Cook’s Drawer Pull. 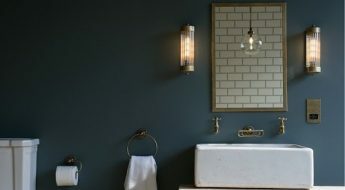 Available in Polished, Matt Black and Antiqued Brass, you can match or contrast with your interior scheme. 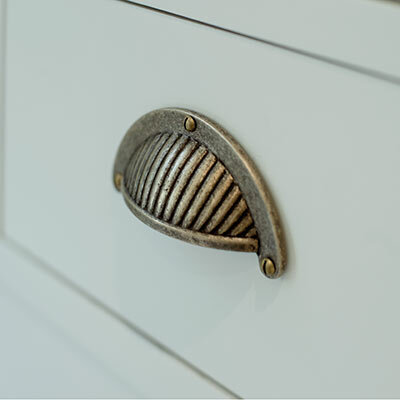 Handcrafted by us and influenced by old timely jelly moulds, this sweet Pull would suit any country, industrial or coastal inspired décor. Pressed from steel, the Matt Black and Polished finishes would make a charming addition to a period home, whether a country cottage or Georgian town house. Our solid Antiqued Brass finish is another excellent finishing touch, but with a more period look for those into aged interiors. Complete the look around your home with our beautiful ranges of lighting, switches and sockets or further door and window furniture.